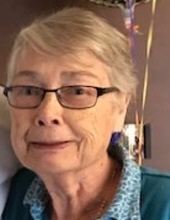 Shirley Ann Allen of Commerce Township, formerly of Redford, was born October 28, 1937 in South Lyon, Michigan to William James and Viola Charlotte (nee: Bulmon) O’Leary. She died March 27, 2019 at the age of 81. Mrs. Allen is the beloved wife of 29 year to the late William Joseph Allen (d. 1988). Loving mother of Lynn Allen, Jeff (Elaine) Allen, Michelle (Pat) McFerran, Theresa (Steven) Vaerten, Patrick (Rosemarie) Allen and David (Heather) Allen. Also 11 grandchildren and 2 great grandchildren. Dear sister of Catherine (the late Harold) Moore. Also survived by numerous nieces, nephews, extended family members and friends. Mrs. Allen was a devout Catholic whose faith was very important in her life. She was an avid quilter and also enjoyed puzzles and reading. She liked her local sports teams, especially the Red Wings. She was a very proud grandmother who cherished her grandchildren. Funeral mass from St. William Catholic Church, 531 Common Street,Walled Lake, Friday April 5th at 10 AM. Friends may visit Lynch & Sons Funeral Home 340 N. Pontiac Trail Walled Lake (3 Blks. S. of Maple Rd.) Thursday, April 4 from 3-8 PM (Vigil Service 7 PM). Memorials to Great Lakes Caring Hospice or the American Cancer Society appreciated. "Email Address" would like to share the life celebration of Shirley Ann Allen. Click on the "link" to go to share a favorite memory or leave a condolence message for the family.